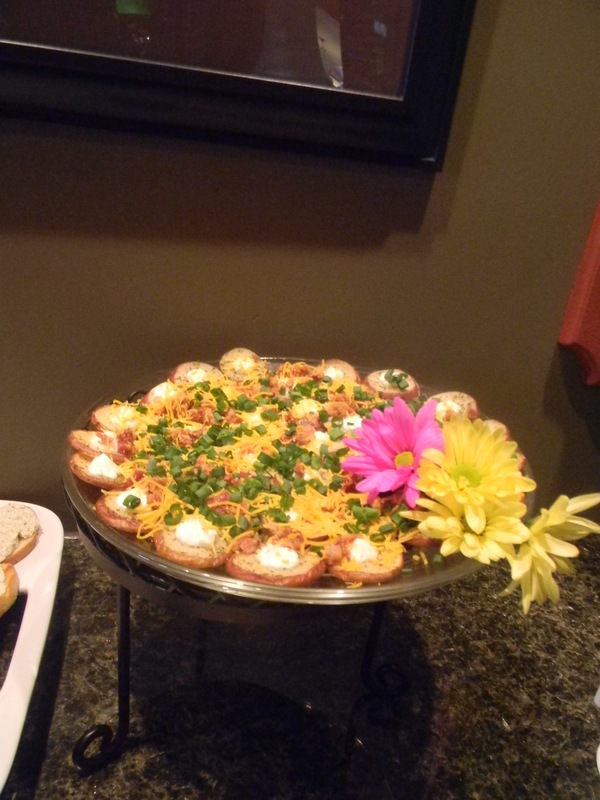 I know there are many recipes for potato skins out there. Instead of using really big potatoes, or the tiny ones cut in half, I used red potatoes and cut them into thick chips. Cut the red potatoes into small coins. 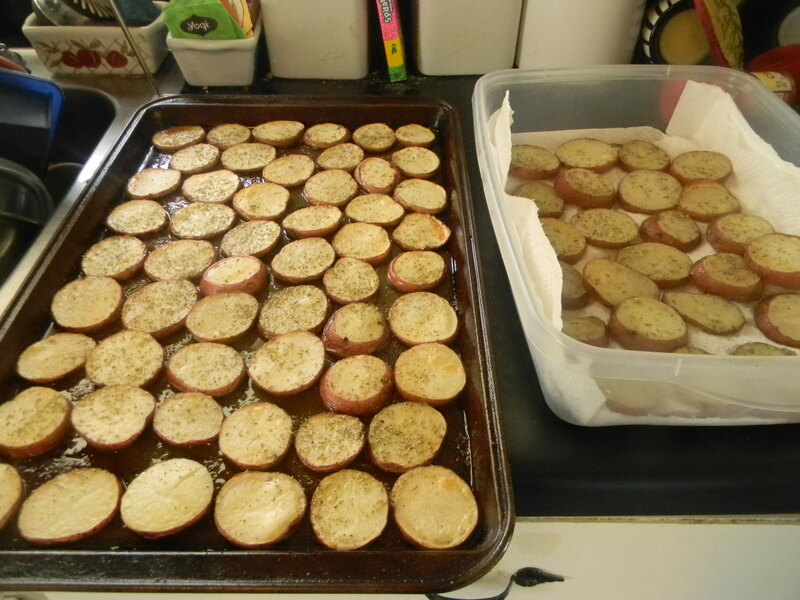 Brush olive oil onto a baking pan and line up potatoes. Brush olive oil on tops awell. Top with salt, pepper, garlic powder and rosemary. Bake in a 425 degree oven until they are tender. I lined mine up in a container lined with paper towel to make sure they were not too greasy and chilled in the fridge. When you’re ready to assemble the potatoes, you can reheat if desired but it’s not needed. Add sour cream to a piping bag for easy assembly. Pipe a dollop of sour cream into the center of each potato, top with bacon, cheddar and sour cream. Serve and enjoy!